but the one of which you're thinking? Nope. Didn't happen. Anyway. 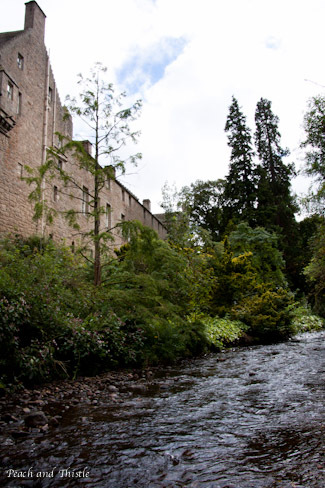 When we headed up to Scotland for one last stolen week away in September, Cawdor Castle was the only sight-seeing place I had on my "must" list. We'd missed it the last time we were in Moray, as it had already closed for the winter, when the family resumes residence. Anyway. I was pretty upset that we didn't get to see "Macbeth Castle" last time, so one day we drove out to visit this tower house. It was dreary, rainy, and glum; classic Highland weather, but after we'd parked the blue skies came out! Approaching Cawdor from the car park. Entry is a steep £9 per person, but of all the castles that are costly to enter, Cawdor does deliver, unlike others (ahem, Eileen Doanan). The current structure was begun in the 14th century, with the unique feature of having been built around a tree. This tree's wizened trunk is still on display, and has been scientifically dated to have died in 1372, which was approximately when it was denied access to sunlight. Oops. 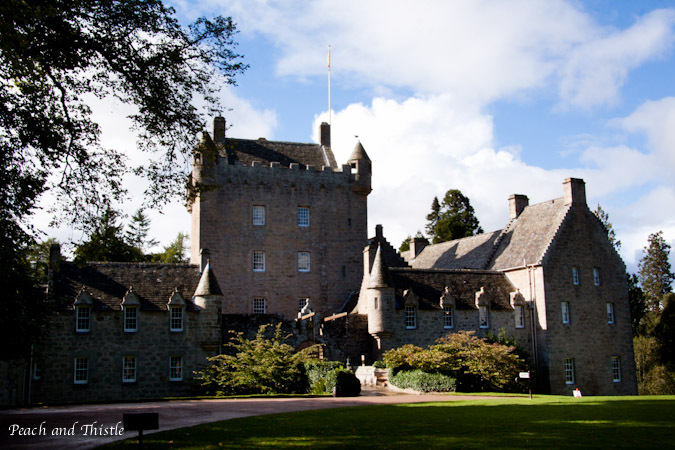 Clan Campbell claimed Cawdor (say that three times fast!) 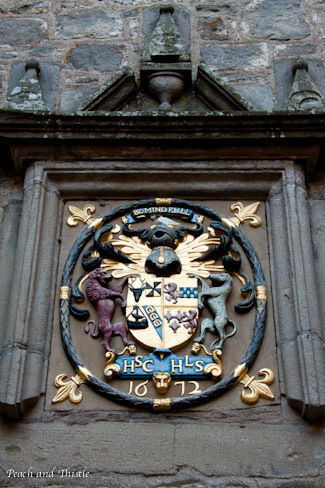 when twelve-year-old Muriel Calder, the daughter of the 7th Thane of Calder (an older spelling of Cawdor), was kidnapped by the 2nd Earl of Argyll and married to his twenty-year-old son, Sir John Campbell. Apparently this marriage proved harmonious, despite its rocky start. Like most castles that are still residences, photography is not permitted indoors. There is a fairly comprehensive guidebook, which we of course purchased. 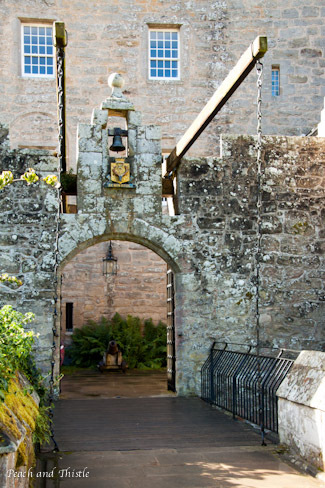 You can see a bit of an interior tour here, on the castle's website. 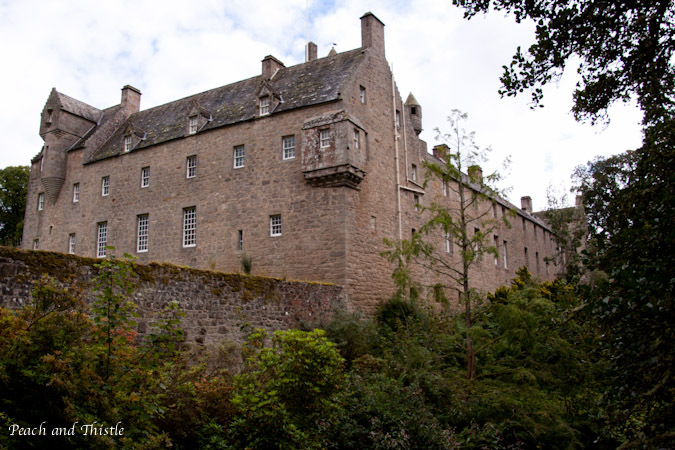 The most interesting feature of Cawdor, by far, is how the old castle, with it's thick stone walls and small, oddly-angled rooms, has been turned into a current home. Tapestries still hang on the walls, both for decor and warmth, tartan rugs and furniture abound, centuries-old weapons act as wall decoration, and small, lumpy beds still beckon, untantalizingly. Artfully mixed in are armchairs, classic in design but clearly offering more lumbar support than their predecessors, family nicknacks that don't qualify as heirlooms (yet), and the occasional family photograph on a side table. The walls are still decorated with large, painted portraits of Campbells past and present. 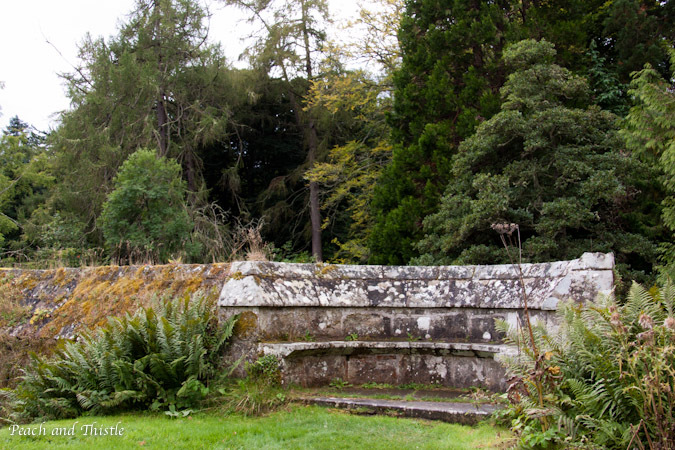 Lovely benches built into the garden wall during Victorian times. 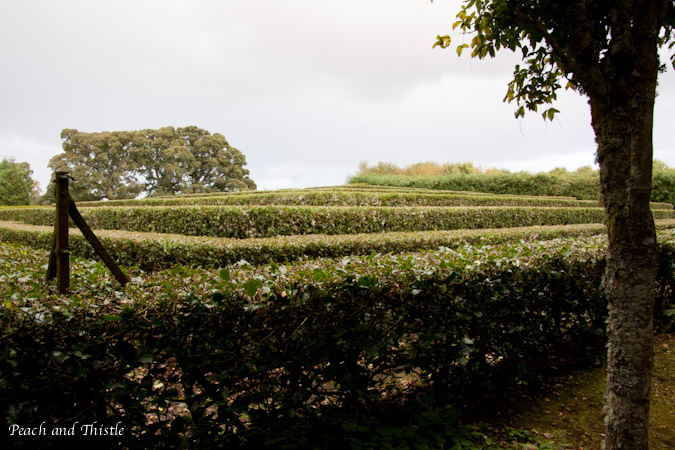 The maze is quite fun, although the sudden rain made our traipsing turn into more of a hustle! The river just below the castle (I believe the River Findhorn?) 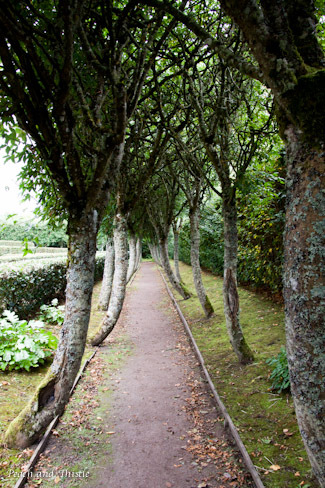 and the avenue of trees that wraps the maze. Footbridge leading from the castle to the Big Wood. 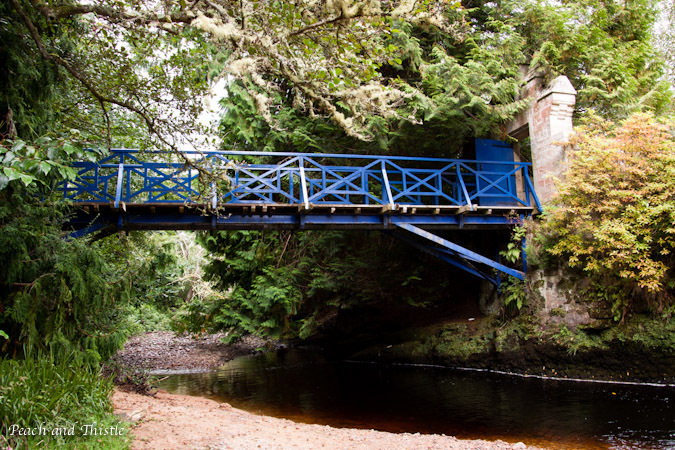 If you're ever up in the Highlands, and Moray specifically, be sure to get to Cawdor- it's a fascinating castle with varied enough history to satisfy anyone's taste! Oh, and really, that should be "when", not "if". The Highlands should DEFINITELY be on your "places to go" list... after all, Moray is top of my "places to live" list!! Wow, that is one amazing castle, your pics look gorgeous!